Langkawi is a Malaysian island just south of the Thai boarders, 30km off the mainland and in the middle of 100 islands that belong to the Langkawi archipelago. 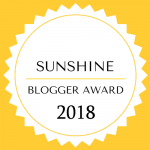 As a tropical island it offers lots of things to do anyway but as an upcoming popular destination many new places and ideas are in progress too. My Langkawi itinerary consists a bit of everything in just 3 days! It is doable but demanding so it can be done in more days with peace of mind! The island was my first ever visit in Malaysia and its amazing people so I couldn’t but have an amazing time! 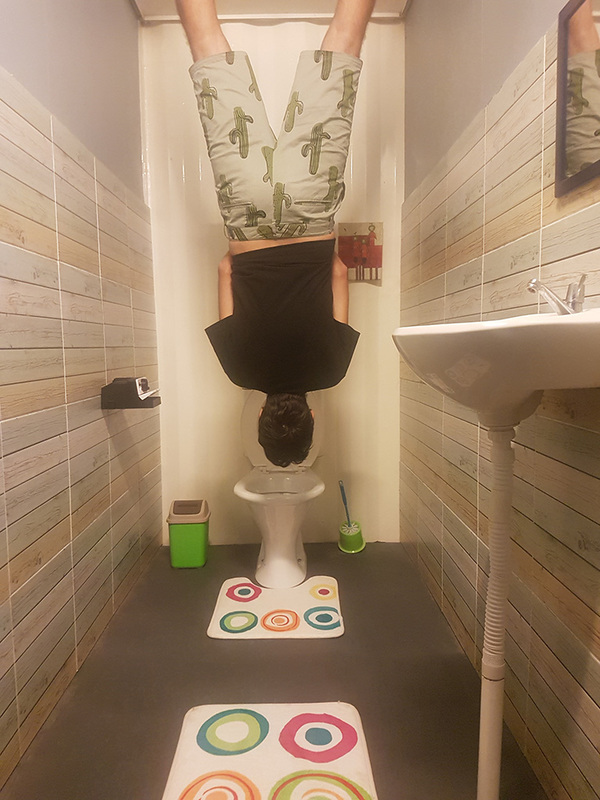 Interesting, how do you get there? 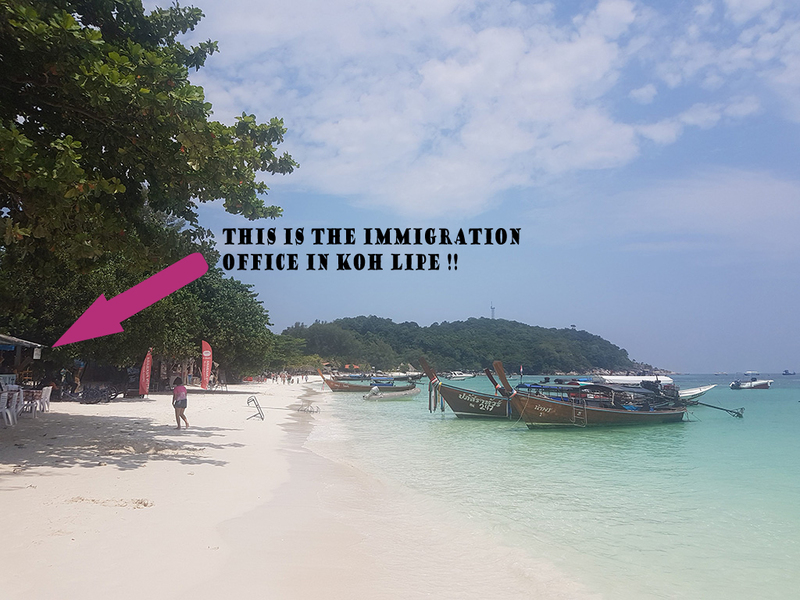 Basically, we arrived in the island from Koh Lipe, Thailand using the local ferry that usually operates till end of April (check here for updates!). Takes slightly less than 2 hours and stops either at Telaga Jetty or at the main one in Kuah city. Both terminals have immigration services but the first one is quieter and very cute! We chose to stop in Telaga as we had plans of staying in a nearby place that has the best construction ever! Huge pipes have turned into «double rooms» (look below! )… how cool is that? 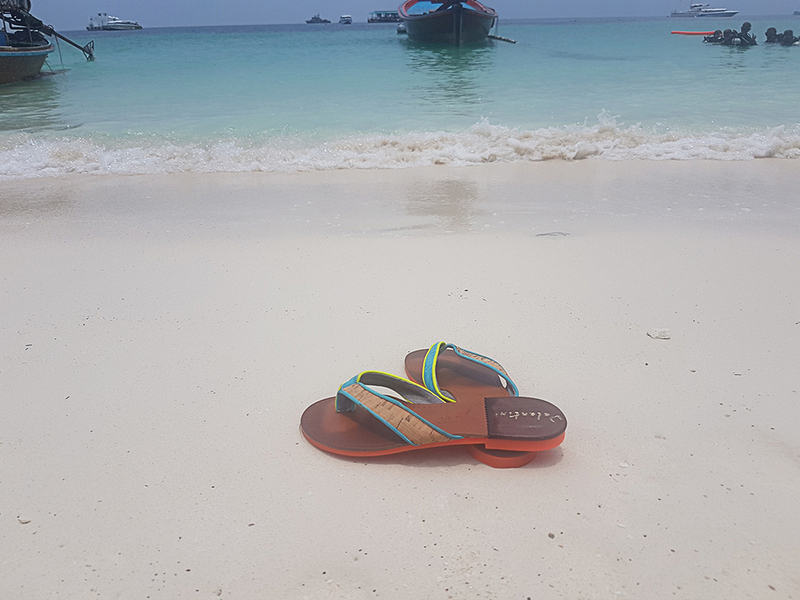 However, Koh Lipe is not the only starting point as Langkawi also has a well-connected airport and many ferries. One of them sails to Penang island and one other connects Phuket, Phi Phi and other Thai islands with Langkawi. One of these colourful creations was our home for 11 days! 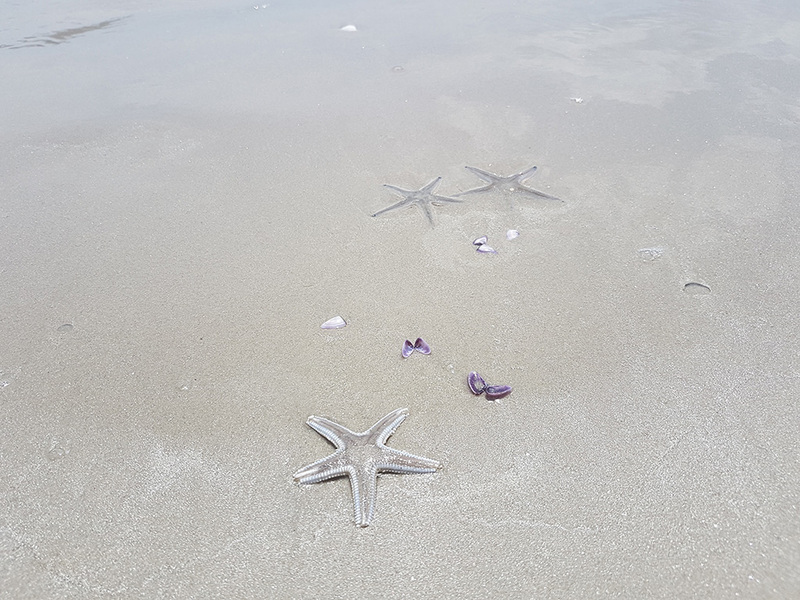 Day 1 – Beach Day! Head to the Pantai (=beach in Malay language) Tanjung Rhu, the best beach of the island! 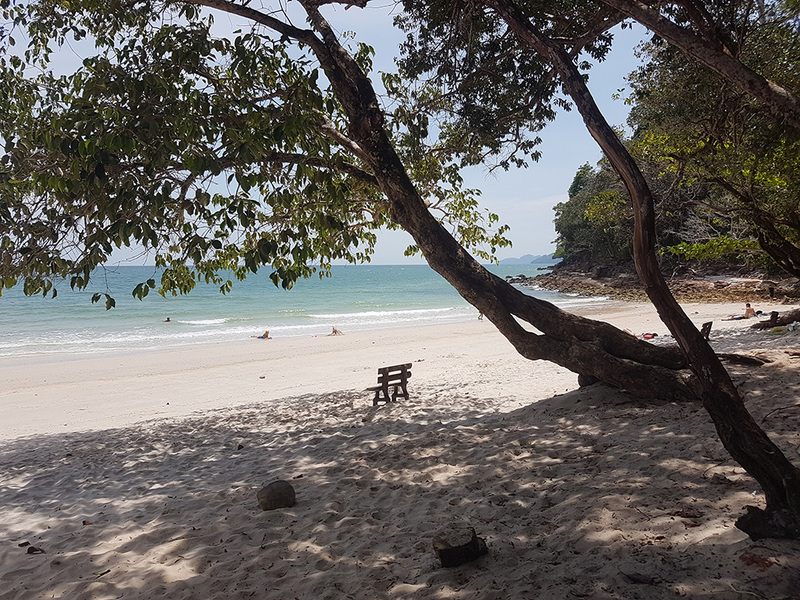 Surrounded by mangrove forest and small islets, this sandy beach is the best introduction to Langkawi! Many luxurious resorts are on this side but the beach is big and accessible for everyone. Some local stores, beach bars and restaurants can be found along the coast and the sea waters are nice for swimming. Be careful though, currents are strong here! 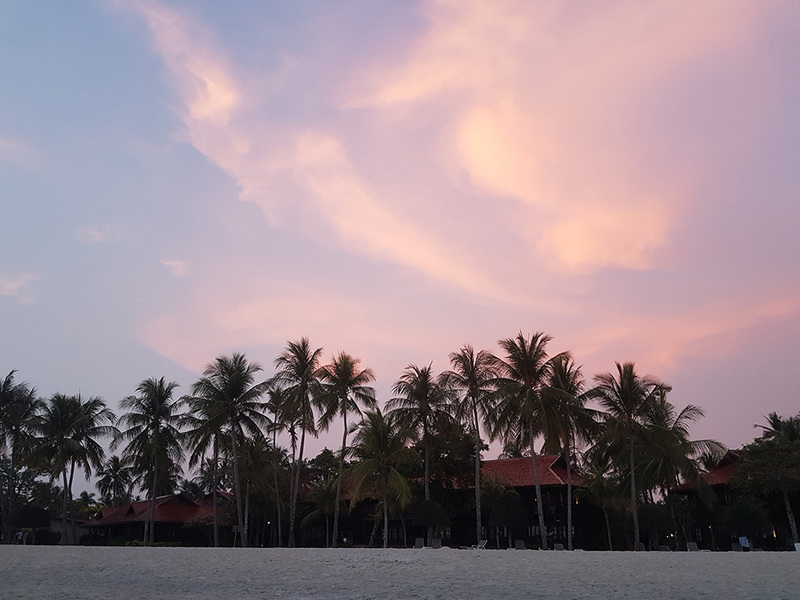 If you get bored you can take an organised tour to the mangrove forest (many vendors around so you can negotiate the price) and then come back to enjoy the sunset. Alternatively, drive about 40 minutes to get to the Pantai Cenang the main and most touristic beach. Jet skis, banana floats, parasailing and other activities can be done here and it is usually very busy. The good news? The beach is very long and wide so there is room for everyone! Moreover, try to find the cheapest price (around 30 RMB) for your tomorrow tour- more details to follow! 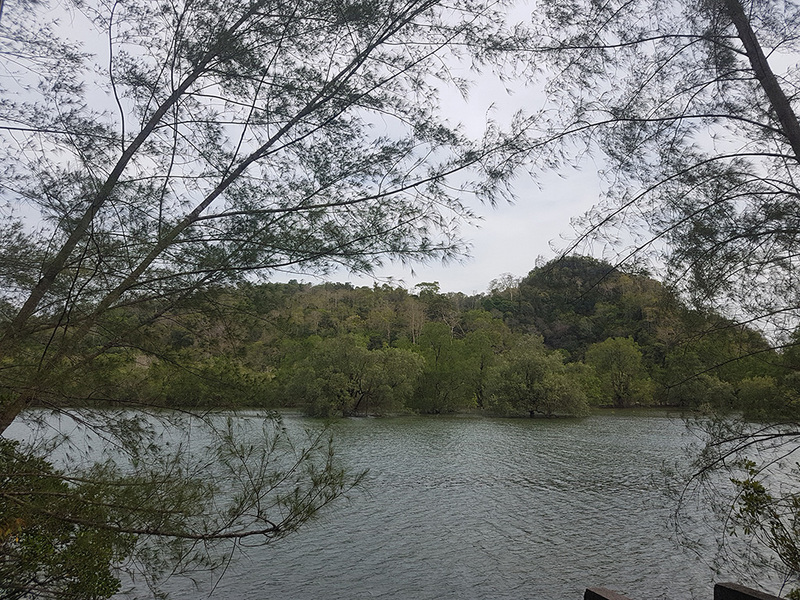 River and forest behind Tanjung Rhu Beach! Starving? It’s normal… such a busy first day! Spend your night in a local Night Market- Langkawi night markets are open daily but in.. different locations! Check here for the tonight’s one! Day 2 – Nature and City Day! Your half day boat tour to Pulau (=island in Malay) Dayang Bunting is about to begin! In this island / geopark you can swim in the fresh waters of the “Lake of the Pregnant woman”- ask the guides to show you her figure! Wearing a life jacket is essential here and you have to pay extra to rent it if you wish to get into the water- cheap but annoying! There are also few spas (!) , paddle boats for renting and a small café. In the park (which is beautiful and easy to walk around) there are thousands of free macaques. Unfortunately, they are spoiled by humans because the tourists offer food to the monkeys and, as a result, manage to photograph them from a close distance. This means that in nowadays even a small bottle of water could make you a potential target! 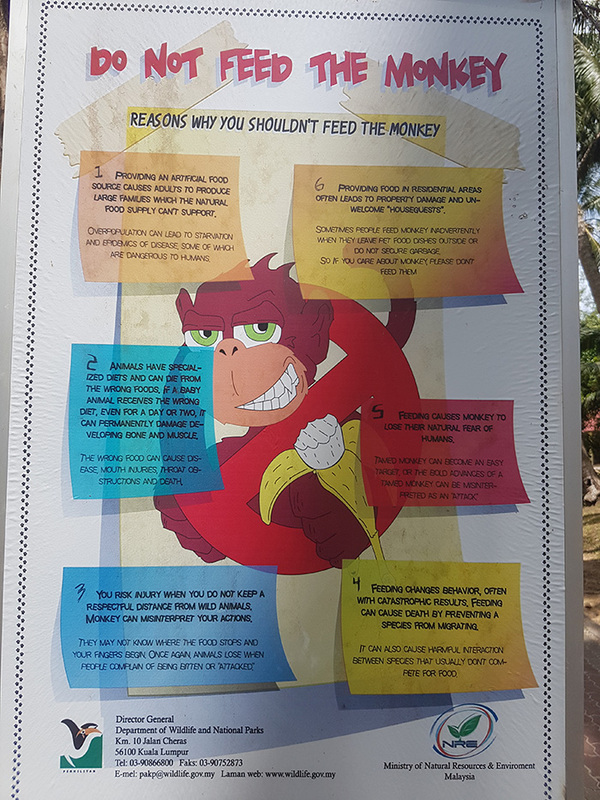 Do not carry anything related to food/ drinks (or at least put everything in a well-closed bag) and do not feed the monkeys!! The tour usually includes an eagle feeding experience (where people throw chicken pieces in the sea and the eagles come to catch them- WTH!) that we couldn’t skip even if we tried but everyone seems to provide only this package (pffff) and a last stop for swimming in the Pulau Beras Basah, an islet with a white sand beach! You will be back around 1.30 pm and then you can spend the rest of the day at Kuah, the capital of the island. Here, you can find some small but decent Malls, the local park Dalam Taman where sculptures associated with local myths are spread out across its area (and the entrance is free, hooray!) and of course the iconic Eagle square – both located next to the port. 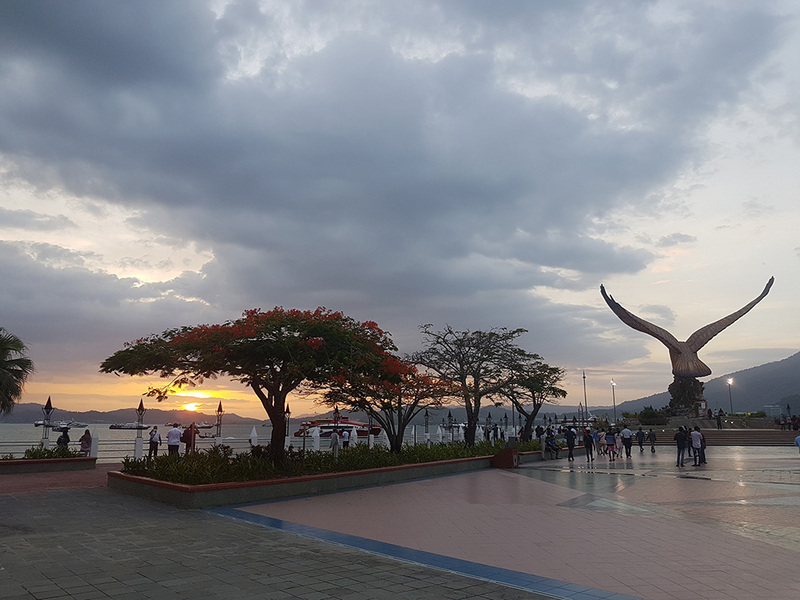 The best time to be at the Eagle Square is just before the sunset but be prepared to meet many tourists’ groups around! Sunset at the Eagle Square! Day 3 – Attractions Day! To cool yourself down start the day north of the island , in the secluded Pasir Tengkorak Beach. Soft sand, nice seawaters, not many people around, in the middle of the jungle… the perfect morning! Soon after, on the way to the Sky Bridge and the Cable car you will pass next to the jungle so you can notice heaps of macaques again (being more relaxed this time as they don’t interact with people that much) and you can observe them in their natural environment. The above mentioned attractions are located next to each other so it s convenient to do both at once. Not my cup of tea but they have indeed great views and you can easily spend few hours here- currently under renovation, please check before your visit! The last stop is made for some funky photos! UpSidoW is the first roadside attraction where everything inside is made from recycled, up-cycled, old and unwanted materials. In fact, it is an.. upside down attraction! 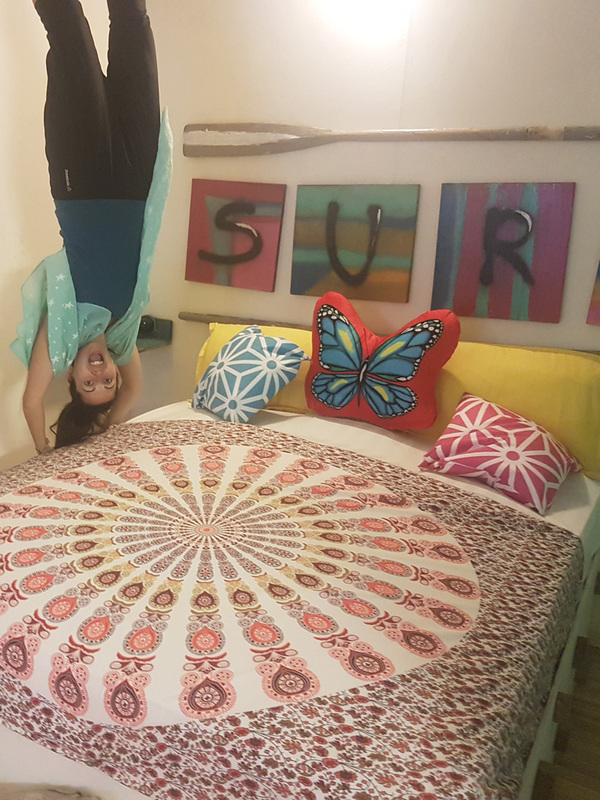 This colourful house has a bit of us too because we have helped with the art installation…but this is a different story! Enjoy the great sunset too and if your days in Langkwai have come to an end…the airport is very close by! Dimitris: Went for a relief, ended up SO confused! Valentini: Doesn’t want to go to school!!! 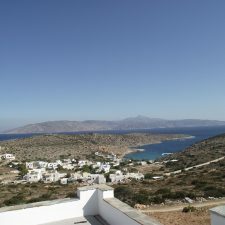 -The main disadvantage of the island is the lack of local transportation. There are only taxis available (quite expensive for SE Asia standards) so the best you can do is to rent a motor bike or a car. – The airport has already many direct connections with China, Thailand, Malaysia (plenty flights for Penang and KL on a daily basis) , Singapore etc. but a new terminal / extension for new destinations is ongoing. 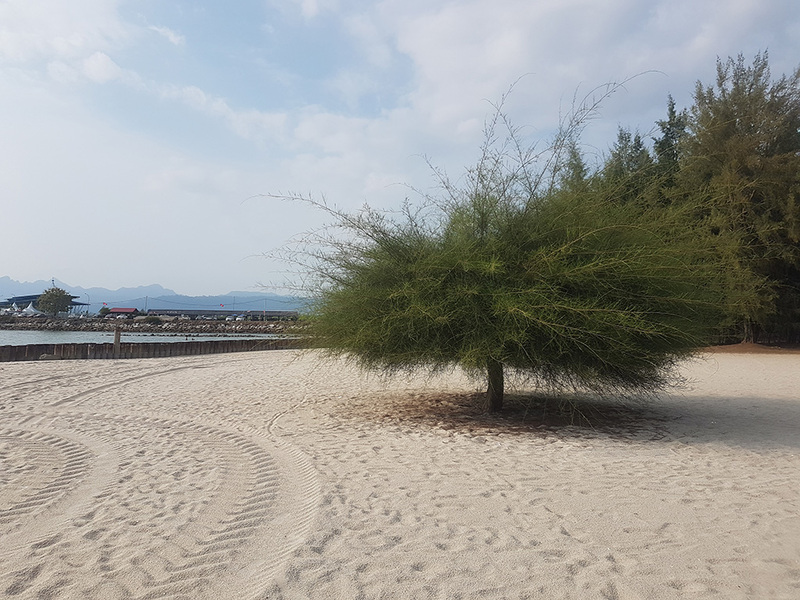 -If you aim to spend more days in Langkawi you can also visit the small beaches east of Cenang, lots of construction works in progress there too but the beaches are still accessible, quiet and sandy. I didn’t find any particular attractive though but you may discover your ideal beach! -An unpleasant phenomenon in the Andaman sea is the «sea lice» that leads to body itching and potentially rashes. Technically it is not «lice» but many people refer to the phenomenon that way. Actually, the rash is caused by the tiny stinging cells of the thimble jellyfish or, in some cases, the larvae stage of the sea anemone. It has been reported in Andaman Sea, Caribbean, Florida, and other seas around the globe. The phenomenon affected us only 1 day out of the 9 we swam in Langkawi but the itching reaction was so strong that we had to dash out of the water straight away! 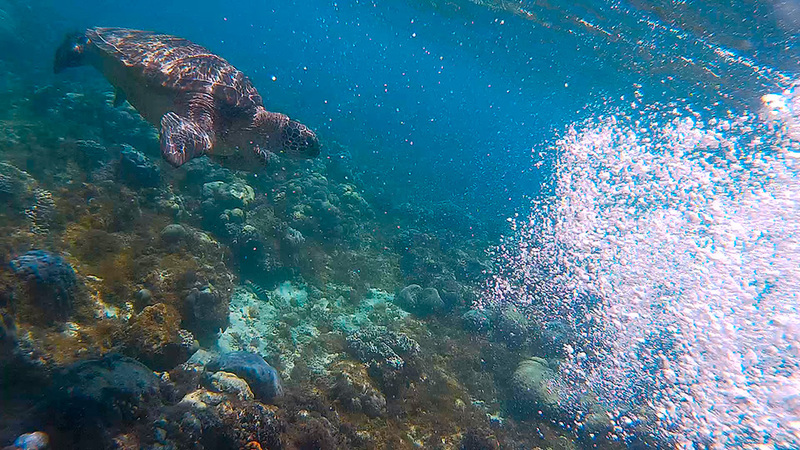 Many people suggest to dive a few meters away but we were rubbing off so much so we couldn’t think of anything else! Read more information about the phenomenon here. Spending my time after this incident taking photos…and trying to forget about it! Have you been to Langkawi? Comment your recommendations below! Langkawi is on my bucket list. How many days you recommend to stay there? Is it also good this place to bring kids? This is so beautiful! Thailand and Malaysia are both on my list. Love the info here and the upside down photos are super fun! This is very informative and interesting post. Love the photos ? I’ve been wanting to visit Langkawi for yrs now, this made me just wanna book a flight and go! Langkawi certainly looks like a paradise island to visit. The cable car would be top of my list as I love to see the land from above! And those beaches seem dreamy to me, I would love to be there right now! I almost did the trip here when I was in Thailand, but I wasn’t sure about how touristy it would be since it was during Chinese New Year!! I had no idea how bad it was to feed the monkeys!! Wow! What a cool place to visit. I can’t believe that immigration office! Error: Error validating access token: Session has expired on Tuesday, 02-Apr-19 16:48:27 PDT. The current time is Thursday, 25-Apr-19 11:46:41 PDT.